Make a photograph dominated by horizontal lines. ... with my brand new $12 lens cleaner before I screwed on my brand new $50 clear filter. Yes, clear. A $50 filter that does nothing. In fact, it's so clear that when I first picked it up, I would have sworn I was holding a rather heavy but otherwise empty metal circle. Anyway, the picture up top is Zachary eyeballing my Blueberry Bagel. 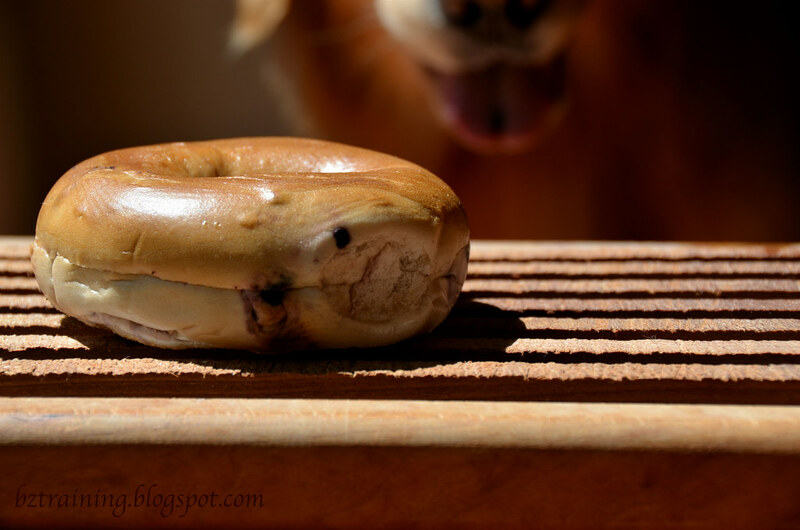 I loved this picture for all the yummy brown tones, not to mention the yummy bagel, and because I spent a whopping 5 minutes on the whole shoot. Now there's bang for your buck! For the curious, this was taken with the cutting board sitting on a kitchen chair in front of the open slider with the last of the morning sun streaming through. Remove the chair, and you have the same place where I took the blue iris pictures the other day (irises in vase on the floor). Replace the cutting board with the butcher board and you get the picture of the hamburger press last month. Switch to a TV tray and white tri-fold cardboard backdrop and it's the high-key kitty salt-n-pepper shakers shot. A very useful spot, that is. ... which has me thinking of Yoda's famous line... "Do or do not, there is no try." 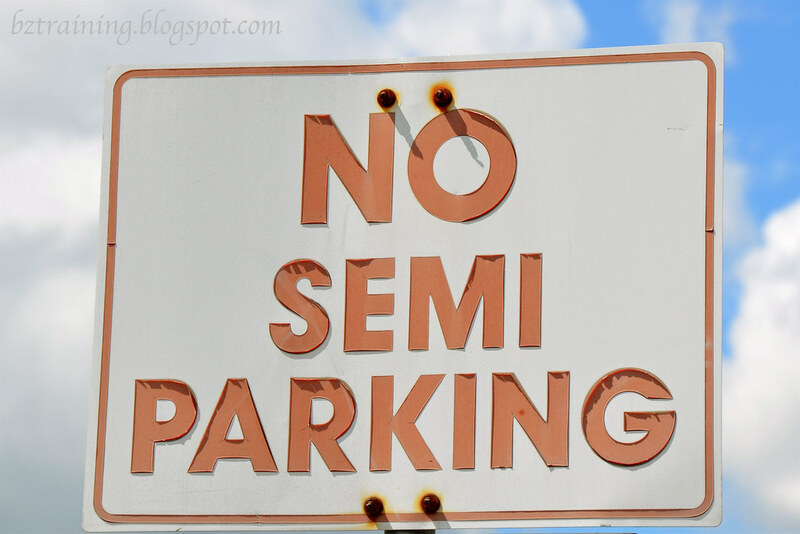 "Park or Park Not, there is no semi parking?" Check out local sandwich shops for misspelled signs. Tons of them write "sandwhich's" on their signs. For that matter, our local courthouse has a misspelled sign in it as well, or at least, another grammatically incorrect placement of an apostrophe.